I still don’t know why they spell it like that. I mean, I do, but it still trips me up. 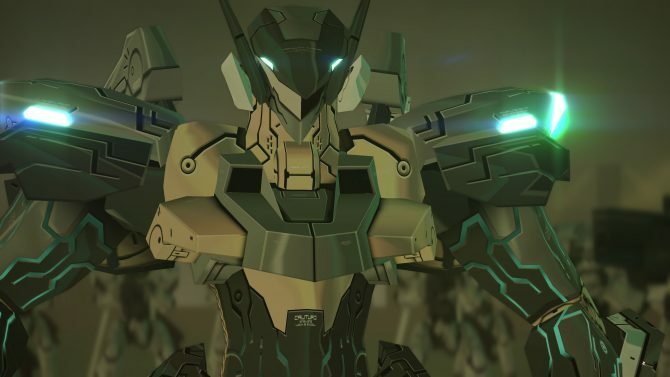 Konami’s upcoming VR enabled remaster of Zone Of The Enders: The 2nd Runner, the second game in Hideo Kojima’s cult hit mech action series, will soon be getting a demo. The demo for Zone Of The Enders: The 2nd Runner – M∀RS will be up on the PSN Store later this week, the PlayStation Blog announced. And the best news here is, the demo will be native 4K, and compatible with VR too- which will also be true of the final game. Given how well suited Zone of the Enders seems to something like VR or high fidelity graphics, it is good to see Konami is letting people try out a piece of a remaster espousing both those virtues for themselves- it will also easily be the best way for them to generate interest in the upcoming release by a broader audience, that the original release never reached. Zone Of The Enders: The 2nd Runner – M∀RS will release on September 6.